Does your house need an exterior make-over? Are you looking for a siding product that’s not only attractive but energy efficient, affordable and low maintenance? If so, then vinyl siding is the right choice for you. We have more than 25 years of experience providing high-quality vinyl siding installation services to Maryland and Northern Virginia residents and business owners, so rest assured that when you choose Dominion Roofing Co. for your vinyl siding installation project, you are choosing a proven leader. Call us today or fill out a contact form for a free, no-obligation estimate. Efficiency – Vinyl siding acts as an insulating barrier between the elements and the interior of your home. This not only saves energy but helps to keep your home more comfortable, while saving energy dollars. Insulation – In addition to keeping out the weather, vinyl siding also acts as a sound barrier, keeping traffic noise outside where it belongs. Value – Because of the energy-saving properties of vinyl siding and because potential buyers know that they won’t have to replace the siding in the foreseeable future, installing vinyl siding increases the value of your home when it comes time to sell. Maintenance – Vinyl siding is almost maintenance free. It never needs painting, sanding or sealing like other types of siding. The only maintenance required for vinyl siding to look its best is to wash it down periodically using a rag and a garden hose. Aesthetics – Vinyl siding goes with virtually any home design or architecture. Whether you have a traditional farmhouse, a 19th century Victorian home or an early 20th century bungalow, vinyl can enhance the beauty of your home. In addition, vinyl siding is available in a rainbow of colors, something to appeal to most any taste. Durability – Vinyl siding is made to last. On the average, properly installed vinyl siding will last up to 10 times longer than traditional wood siding. 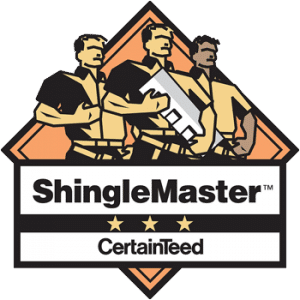 Most vinyl siding is also made to withstand winds of up to 110 mph, occasionally a concern in our area when those tropical storms head up the east coast. If you’re considering adding attractive, energy-efficient vinyl siding to the exterior of your Maryland area home or business, let Dominion Roofing Co. show you how easy, affordable and hassle-free the entire process can be. Our locally-owned company has been helping area residents beautify the exterior of their homes for more than 25 years. We are conveniently located in Montgomery County, Maryland to serve you. Call us at 301-942-2009 or fill out the contact form to schedule an appointment.